The new podcast is available for download right now. Featuring that Sam Hoskins goal, an Imps view as we preview the game at Lincoln and your favourite Cobblers goals of years gone by. Download, subscribe and listen on Apple Podcasts, Spotify and all other podcast platforms. Hi is it possible to listen via Audio Boom ? 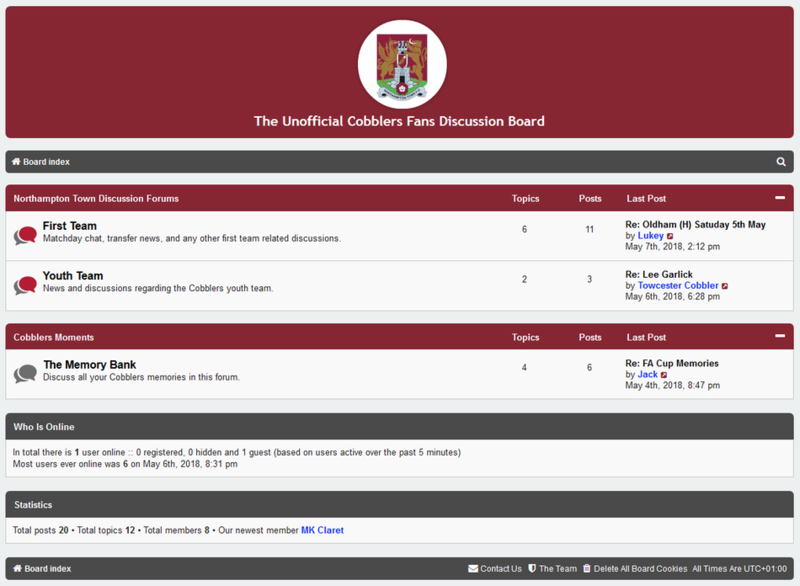 Feel free to visit an alternative Cobblers discussion board here! fully responsive and advert free. This week's podcast is available for download right now. Featuring bad tackles, Crawley being creepy and reaction to a good point at Lincoln. Or click here to listen to Episode 21: I Didn't Touch Him! Entering this month's Hall of Fame is former Middlesbrough and Cobblers striker Chris Freestone. Chris talks about his time playing alongside the likes of Ravenelli, Jujinho, Sammo and John Gayle and remembers his goals against West Ham and tells us why we should have beaten Grimsby at Wembley in 1998. Featuring Supporters Trust public meeting chat, bore draws, Aaron Pierre sitting on Chair and we answer your questions. I listened to the latest episode of the podcast this morning and thoroughly enjoyed it - I’ll be a regular listener from now on. Dare I say it but I think the podcast is a far better medium these days than the fanzine. I too look forward to this dropping every Friday...always a good listen. Hosted by three passionate fans who see things like most of us & say it as it is. and did @SimonTurner2 get dumped?! All this and more in the only podcast about @ntfc Get it NOW! 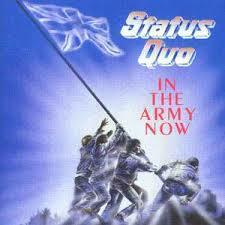 Is the play off push on? Exeter fan Damien Mills helps preview this week's game and Neil and Danny laugh at Charles' drunken away day antics. Get this week's podcast now. Keep up the good work guys!! Of all the podcasts i listen to throughout the week, this is one my most looked forward to. With Danny serving a one match ban, Neil and Charles are joined by former Chronicle & Echo Cobblers reporter and current Sky WWE correspondent, Jefferson Lake. There's lots of play off dreaming, wonder goal celebration and fan ownership public meeting chat as well as the views on Grimsby's season so far from Alex Green. Or click here to listen to Episode 25: Brace Yourself! Plus the return of a much loved hero. All in this week's It's All Cobblers To Me podcast. Grab this week's It's All Cobblers To Me podcast in all the usual places. Or click here to listen to Episode 27: Dream Over? The latest It's All Cobblers To Me #ntfc #podcast is out now on Apple Podcasts, Spotify and all other podcast channels. Next one to include a piece on you winning the National? Hear from Mansfield fan Craig Priest from the Mansfield Matters podcast.